HUMP DAY! 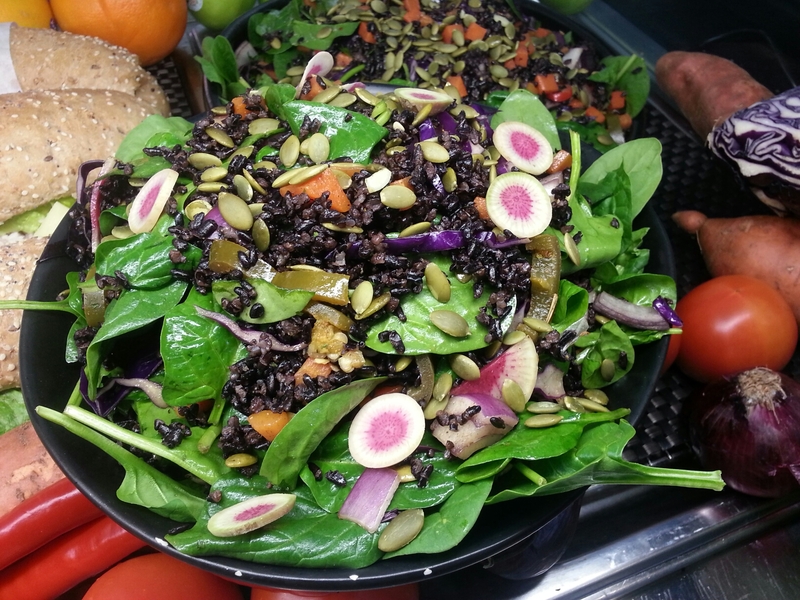 BLACK RICE SALAD. – Photosynthesize. 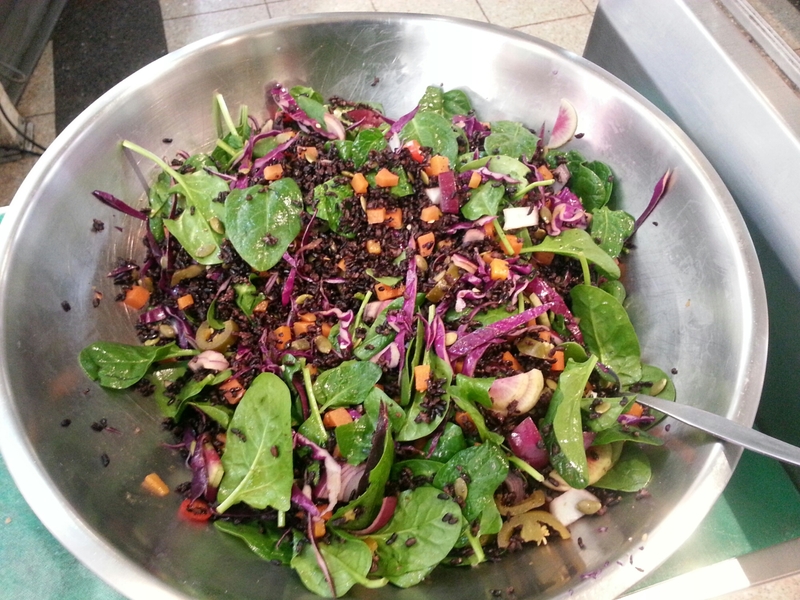 So working at the Milk Bar Café has let me experiment with making salads. 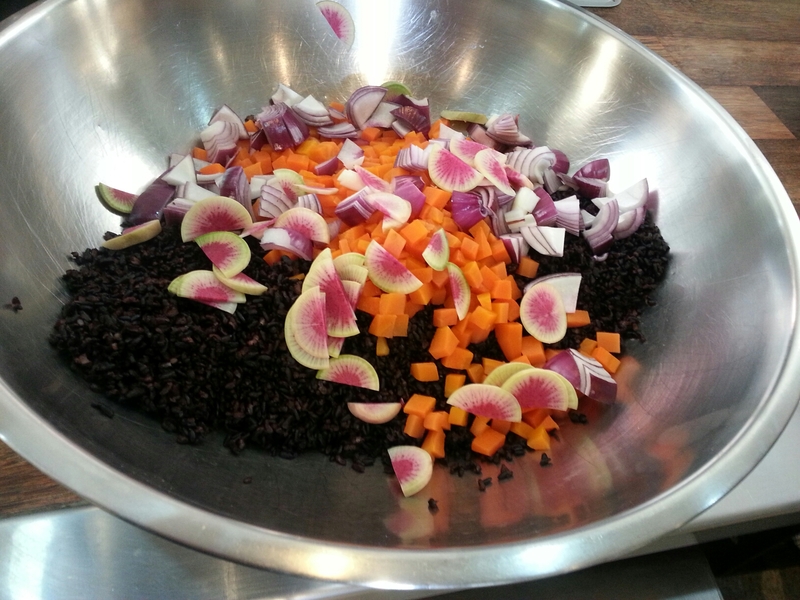 It’s an amazing thing, you use whatever is in season and use new ingredients like today Black Rice. 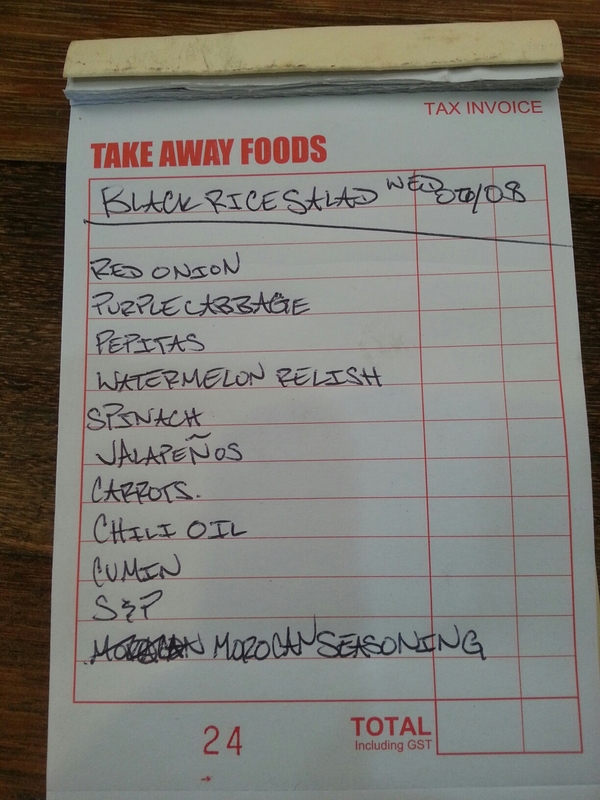 Why not use black rice it looks way better than white and is better for the body. Nature is a beautiful thing and gives even more beautiful, trippy plants. 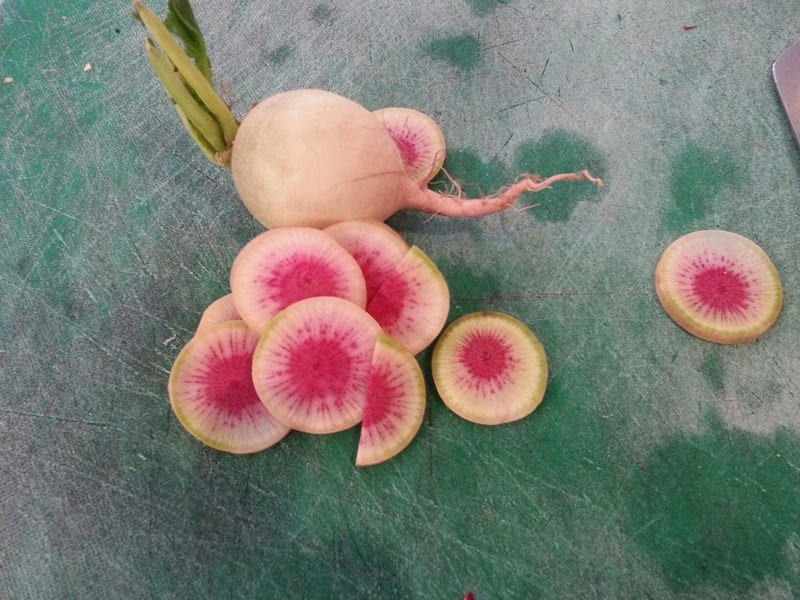 Look at the cabbage or the watermelon radish, there’s so many amazing plants you haven’t tried and probably better for your health than a bag of chips or an oversized burger. 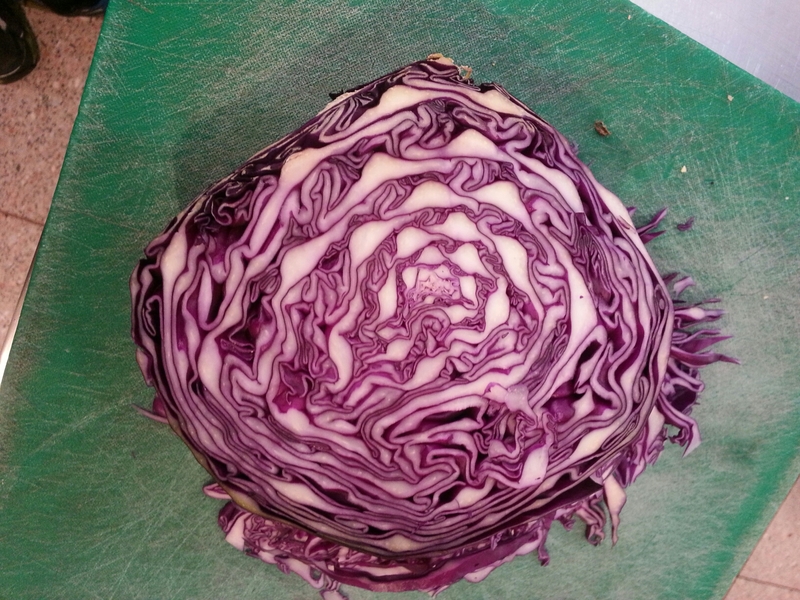 So go out to your local market and be amazed and create something with your new knowledge. Eat more plants. PHOTOSYNTHESIZE. For this salad I cooked the rice, diced up carrots and blanched them, all the rest of the ingredients are raw and just cut them into the most funky shapes possible. 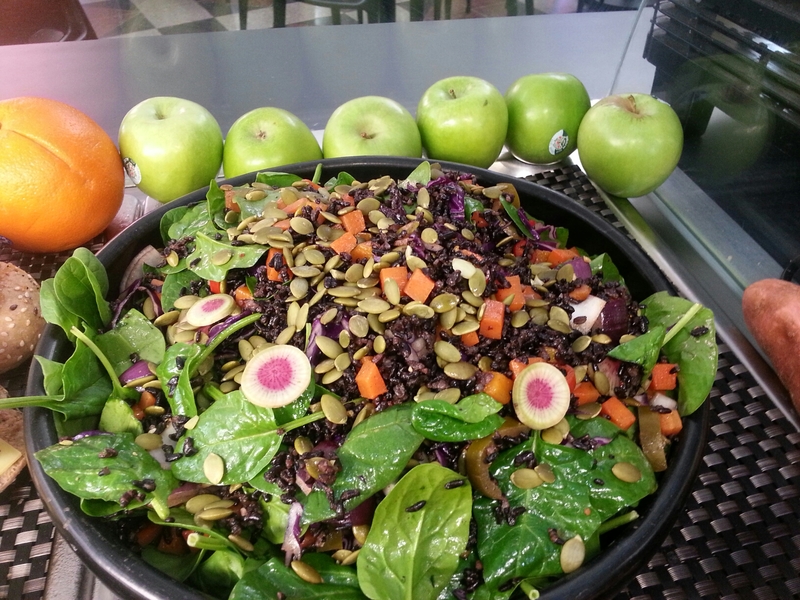 It tastes as good as it looks.